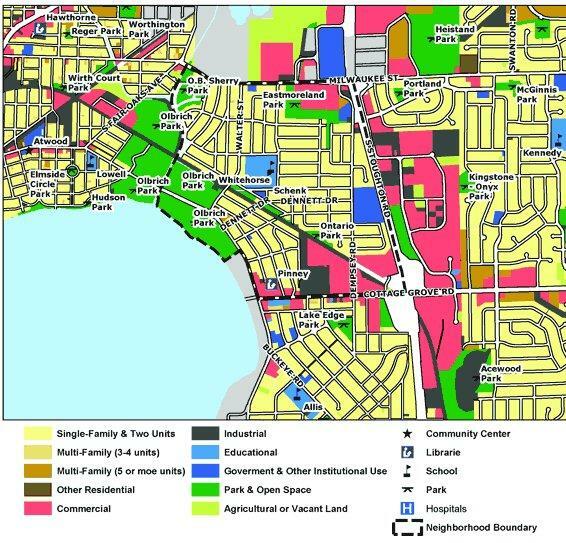 Eastmorland is a cohesive neighborhood of approximately 3,200 residents on the east side of Madison, Wisconsin near Lake Monona and Olbrich Park. Close proximity to grocery, public transportation, bike trails, high performing elementary and middle schools, a public library, three houses of worship, beautiful city parks, and quality, affordable homes make Eastmorland a very desirable neighborhood for singles, families, and seniors. What can't be seen on a drive-through (or bike-through) of the neighborhood is the tremendous spirit of this place. The Eastmorland Community Association (ECA) began in 1957, and celebrated its 50th anniversary in 2007.